The Samsung Galaxy C7 Pro has been launched in India today, after debuting in China earlier this year. The device is a mid-ranger, which features a metal unibody design with 2.5D curved glass, and a 5.7-inch 1080p Full HD Super AMOLED screen, which supports Always-On display. Software wise, the phone runs on Android 6.0.1 Marshmallow. The chipset powering the Galaxy C7 Pro, is a Qualcomm Snapdragon 625, which is an octa-core 64-bit processor clocked at 2.2GHz. The phone has 4GB of RAM, and 64GB of internal storage. It does support up to 256GB of expandable memory, via the Hybrid SIM slot, which is part of its Dual SIM Cards setup. There is a fingerprint scanner embedded in the home button on the phone. The photography options on the Galaxy C7 Pro is a 16 megapixel lens for both the rear and front camera, each of which has an f/1.9 aperture, and can record 1080p Full HD videos @30 fps. The device comes with a USB Type-C port, and is backed by a 3,300mAh battery. 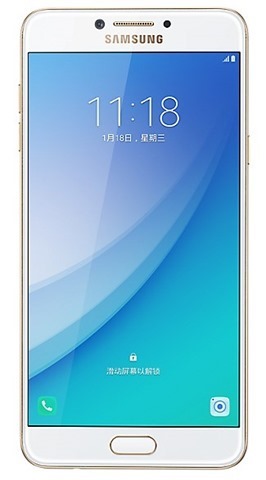 The phone weighs 172g but is quite slim at just 7mm. 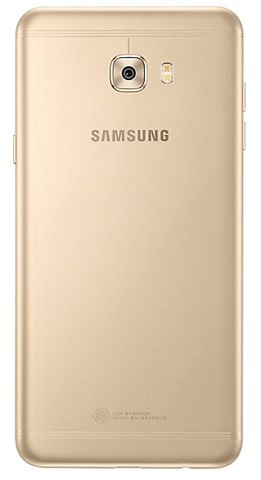 The Samsung Galaxy C7 Pro has been priced at Rs. 27,990 in India, and will be available exclusively on Amazon India, from April 11th. The phone will be available in Navy Blue and Gold colour options. Samsung Galaxy C7 Pro with dual 16 MP cameras launched for Rs. 27,990 in India.